Genomic technologies are transforming healthcare and our flexible programme will ensure you are at the forefront of this rapidly evolving field. 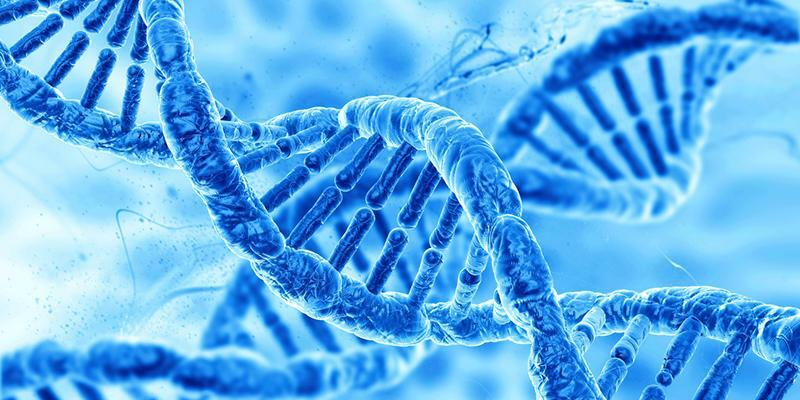 Our leading experts will provide you with a comprehensive perspective on genomics applied to clinical practice and medical research, with a particular emphasis on genomic testing in the UK NHS. 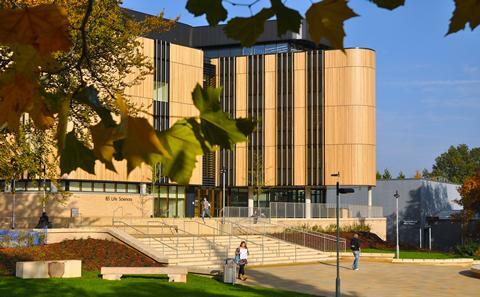 Southampton’s full-time or part-time MSc Genomic Medicine programme explores the genomics and informatics of rare and common diseases, cancer and infectious diseases, and the application of these for diagnostics, prognostics and stratified medicine. Our programme is suitable for science graduates seeking to apply genomics to their future careers, and for health professionals from medicine, nursing, public health and clinical sciences. Our flexible postgraduate course offers you the option of tailoring your learning to suit your needs and career aspirations. You can choose from studying single modules, a PG Certificate, a PG Diploma or the full MSc, and we have full-time and part-time study options. It will equip you with the skills to improve diagnosis and personalised treatment, as well as how to disseminate this knowledge to your peers, patients and the public. 40 students per academic year. 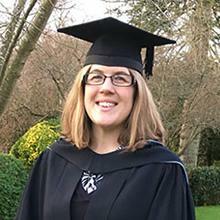 After completing my MSc in Genomic Medicine at Southampton I have increased my breadth and depth of knowledge and it helped me to realise how other disciplines are also using genomics to improve patient care. 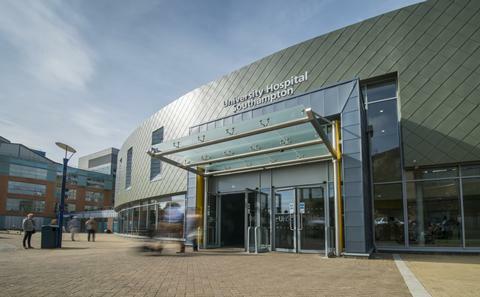 Our MSc Genomic Medicine programme is based at one of the country’s leading teaching hospitals – University Hospital Southampton – and is taught by field-leading experts from across the University, including bioinformaticians, clinical geneticists and experimental researchers. Applications for the MSc, PG Diploma and PG Certificate in Genomic Medicine, and single modules are considered throughout the year. Places are limited, so you are encouraged to apply as soon as possible and ALL applications must be received no later than four weeks before the start of the module/programme. In addition, you must supply all the required supporting documentation two weeks prior to starting your module/programme. Southampton’s MSc Genomic Medicine is a flexible, multidisciplinary masters programme giving you the choice of studying full time for one year, or completing the course in two to five years on a part-time basis. You don’t have to commit to the full MSc from the beginning. You can start by taking a single module and then upgrade to the Postgraduate Certificate (PG Cert), Postgraduate Diploma (PG Dip) or MSc in Genomic Medicine. For the full MSc, you will take seven core taught modules and have the opportunity to choose one relevant optional module from across the University. At the end of your MSc, you will complete a Research Dissertation Project and may get the opportunity to complete this alongside Medicine’s world-leading researchers. The PG Dip consists of two core taught modules along with six optional modules, while the PG Cert consists of two core taught modules and two optional modules. 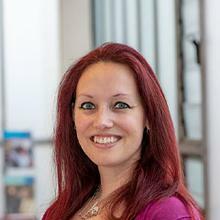 Dr Zoë Walters is a lecturer in translational epigenomics and is also Programme Lead for the MSc Genomic Medicine within the Faculty of Medicine at the University of Southampton. Intake: 40 students per academic year. For both NHS and non NHS staff the normal requirement for entry is a good first degree (lower second class), or an equivalent standard in other qualifications approved by the University, in a health, or health-related field. If you do not have a good first degree you will be expected to provide evidence that you are able to study at Masters Level, normally: (i) a relevant professional qualification at a suitable level, (ii) several years' relevant post-qualifying professional experience, at least some of which must be at a responsible level, or (iii) completion of at least three years of an undergraduate medical degree. As part of the application process, candidates are asked to write a personal statement to explain their motivation for wishing to take the course and to indicate their future career plans. Candidates will also be required to submit one reference, and their degree transcript and certificate. Competency in English is essential as the course if taught entirely in English. Students who do not have a degree from an approved University that has been taught and assessed in English, or who are from a country that is not on the list of those exempt from testing, required a minimum IELTS score of 7.0 overall. We accept a range of Secure English Language Tests. Those for whom English is not their first language are asked to indicate what level of English they have attained. For applicants who wish to study stand-alone modules, please contact the Admissions Office PGTApply.fm@southampton.ac.uk. Our programmes and modules are proving incredibly popular, please therefore be aware that the submission of an application is not a guarantee of a place. Informal enquiries may be directed at any time to genomicmedicine@soton.ac.uk. Any modules taken outside of the above period will need to be self-funded or from alternative funding, if HEE funding is unavailable. Medicine's International Student Advisor is available to assist and support students both before arriving in Southampton and during their studies here. Information on medical care, accommodation, English language support, settling in, and postgraduate life in the UK can also be found on our website. Visa information for full time students can be found on this website. For the part time MSc Genomic Medicine course our students are only eligible to apply for entry to the UK as a visiting student. Visiting student visas are issued for up to 6 months at a time. For further information about applying for a student visitor visa please contact visas@soton.ac.uk. Introduction to Human Genetics and Genomics (module one), and Omic Techniques and their application to Genomic Medicine (module two) are the background to all further studies and give a comprehensive scientific and clinical foundation to the normal structure of the genome, its alterations in disease, the current and emerging technologies in medical genomics and the NHS structures in which they are employed. Research Project of either a 30 ECTS (60-CATS) or 15 ECTS (30-CATS). Each module will comprise two groups of two days' intensive face-to-face teaching, each followed by two to four weeks for independent study and assessment tasks. For the full MSC the 30-ECTS research project and core modules would be accompanied by one optional module, while the 15-ECTS research project and core modules would be accompanied by three optional modules. Students taking the full MSc, the 30-ECTS research project and core modules would be accompanied by one optional module, while the 15-ECTS research project and core modules would be accompanied by three optional modules. For students exiting the programme at Postgraduate Certificate level and Postgraduate Diploma level, please see the full downloadable Programme Specification (available soon). Stationery Approved calculators: Candidates may use calculators in the examination room only as specified by the University and as permitted by the rubric of individual examination papers. The University approved model is Casio FX-570. This may be purchased from any source and no longer needs to carry the University logo. The programme will have a modular structure and use blended learning formats, delivered flexibly in full-time or part-time options, or as individual or grouped modules, to facilitate access from as wide as possible a range of healthcare professionals. The progress of students will be assessed by a variety of tasks designed to reflect the learning outcomes of different modules; play to the varying strengths of the student cohort; and make their learning 'fit for purpose'. Assessments will include short and extended assignments, multi-choice and short-answer questions, oral and poster presentations, research proposals, virtual patient tasks, written exams, and analytical manipulations of genomic datasets. NB. Students taking modules assessed by written exams will be required to return to the University for an additional examination day.